FAN is a library. A library for one person. A small library that is positioned high on the roofs of houses and rotates in the wind. 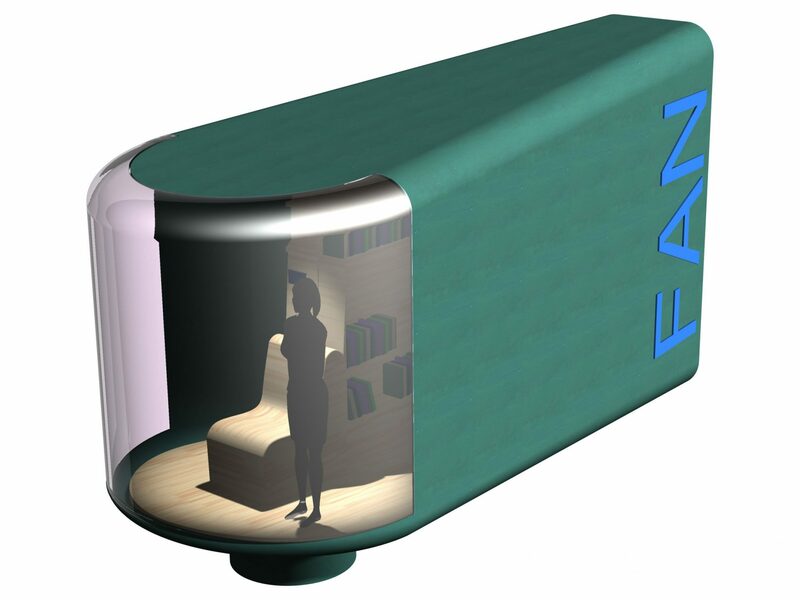 The front of FAN consists of a large circular window that displays a full-screen impression of the area.